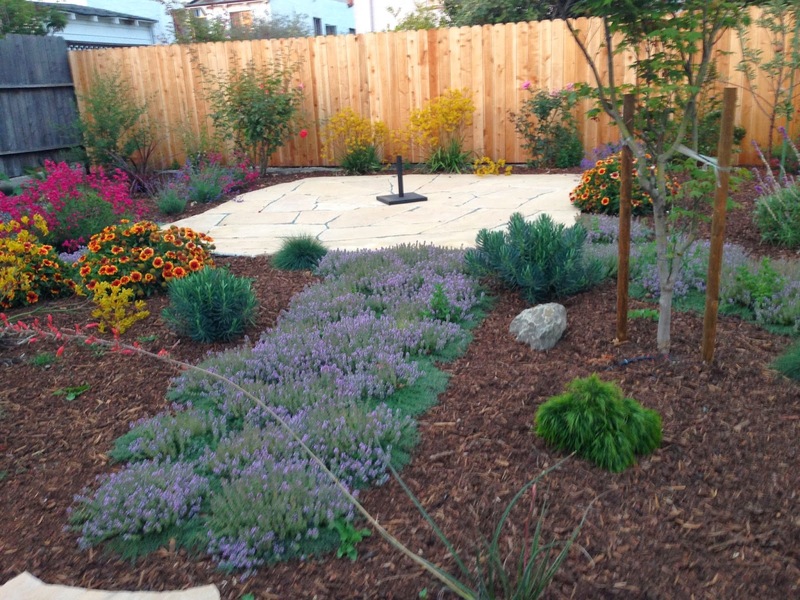 This Albany garden was installed this spring. The home owner sent me these photos of the garden after his return from a stint of travel. The flowering perennials and grasses are filling out and in full bloom. 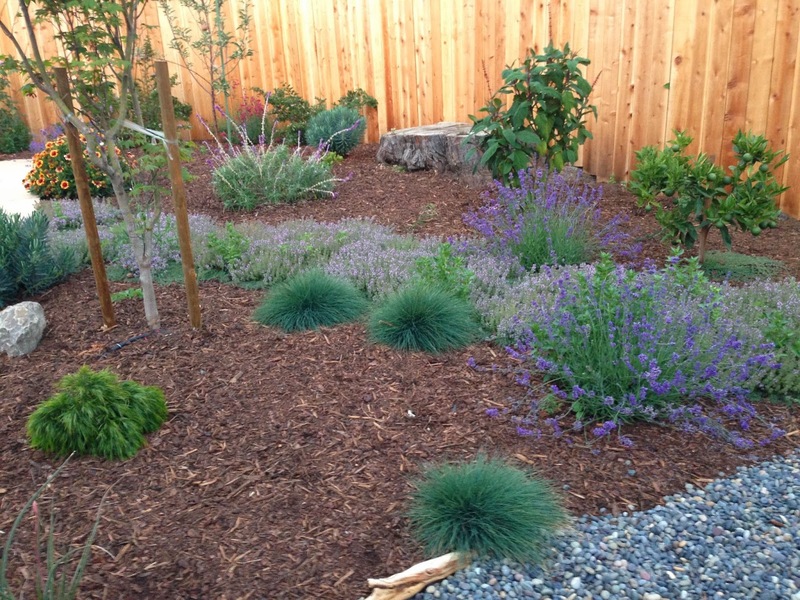 In the foreground you can see Lavender 'Provence' and Lomandra 'Sea Breeze'. Toward the fence there is a citrus and Salvia confertiflora that will eventually hide the tree stump. Here you can see a walkway of wooly thyme in full bloom leading to the patio. In the back ground off to the left are Gaillardia and Penstemon 'Garnet'. Against the fence are the transplanted roses coming back to live and Kangaroo Paw. In the immediate foreground is Hesperaloe parvifolia. Here is a link to an earlier post of the before and after of this garden. Beginning your own compost pile is easy. It can be made from fruit and vegetable scraps from your meals, coffee grounds, tea bags, egg shells, old flowers that have died (the cuttings you've had in vases around your house are great for a compost pile), grass clippings, bedding from hamster, rabbits and guinea pig cages and even used paper! Just leave the meat out of it and your compost pile will be just fine. افضل خدمات شركة تسويق الكتروني في جميع انحاء جمهورية مصر العربية والعالم العربي من خلالنا فقط وبأفضل الاسعار تستطيع ان تحصل علي افضل تصميمات وخدمات من خلال اكبر شركة تصميم مواقع في جميع محافظات مصر والعالم. We exited the year with approximate gross sales volumes in the Marcellus Shale of 330 million cubic feet per day from about how to get pictures off a broken phone 70 wells the decline rates are in line with our expectations on our tight curves that we provided in the past.